Another tradition is held on Christmas Eve, which we call “(Family-Last-Name) Eve.” It consists of massive amounts of hors-d’oeuvres. One year, in an attempt to blend the old with the new, I thought I would turn the 9×13 lasagna into bite-sized appetizers. 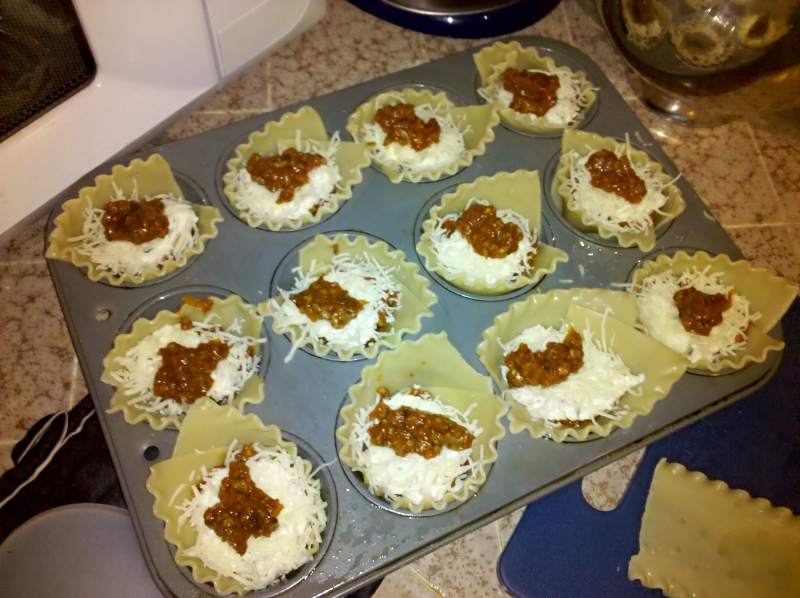 I lined a muffin tin with lasagna noodles and filled them with meat sauce, ricotta, mozzarella, and parmesan. I baked them up and proudly served them.